So you know someone who'd be interested to see our website? Cool! We don't save the email address or other data at all, so no need to worry. 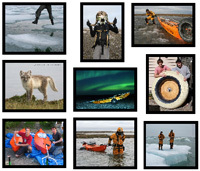 I just wanted to email you the link to this website about this world-first expedition across Victoria Island in the Arctic!